A Fitness Club for You. 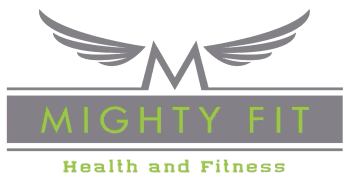 Mighty Fit is a fitness company/club dedicated to everyone that has been intimidated and fearful of exercise. We want each and every single person to feel welcome. Mike Hughes and Heidi Zipperle manage, own and operate the company and we have a team of fitness professionals that share the same passion. Our close friends would call us Meidi (Mike and Heidi combined) quite often and being that we have a love for fitness and health we decided to name the company Mighty Fit. Heidi is also a breast cancer survivor and has been in remission since 2007, she brings the spirit of enjoying each and every day to its fullest. Mike has over 14 years in the fitness industry and his positivity is absolutely contagious, if your ever feeling down do not hesitate to come and spend about 10 minutes with him, its a good investment. We welcome you to Mighty Fit. Nothing's more important than good health. So do not hesitate to contact Heidi or Mike. Phone, Email, Snail Mail or Smoke Signals, your choice. Maybe your just checking us out, fear not we're a one-stop fitness emporium. Take advantage of our fitness facility, and pretty soon everyone will be checking you out. Want to take a peak at what Mighty Fit is all about, feel free to check out some of our photos or videos. We welcome all fitness levels from beginner to advanced.